From remote monitoring to simple phone consultations, connected health is becoming more ingrained in the healthcare landscape. Telemedicine (or connected health) is transforming the traditional view of medicine. It’s essentially the delivery of some form of healthcare (information or services) via telecommunication—whether by telephone or via the Internet. This can include myriad components, including video conferencing, where a patient and a doctor can see and talk to one another despite not being physically present in the same location. Or it may mean the use of remote medical devices that track and transmit health data from patient to physician. Some patients even use telephone services to communicate with their doctor instead of scheduling an in-person visit. The primary benefit of any connected health program is that patients don’t have to leave their home—even those with a chronic illness can be monitored from their desired location. Also, various forms of telemedicine can help patients determine whether a trip to the doctor or emergency department (ED) is necessary. This is especially beneficial considering it’s been found that patients often overuse their local EDs. In fact, in any given year, more than one half of ED visits are for nonemergencies. Typically, patients know it’s a nonemergency but feel there is no better option. In 2006, a survey of California hospitals found that nearly one half of ED patients thought their medical concern could have been resolved by their regular physician but claimed they were unable to obtain timely access to care. In telemedicine programs, doctors can receive real-time medical data from patients, who in turn can receive immediate consultations that may allow them to forgo a trip to the ED. The technology also benefits patients who live in rural areas or those who don’t have easy access to transportation. While people are accustomed to communicating about their finances or legal situations over the phone or via the Internet, healthcare is still primarily practiced in face-to-face meetings. Few doctors communicate with patients over the telephone and even less communicate via e-mail. But telemedicine could begin to change those realities. Remote monitoring technologies convey real-time physiological information on a patient’s condition over the Internet or via phone lines. 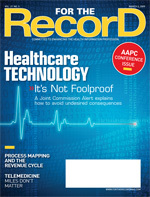 “We look at remote monitoring—incorporated into devices like a pacemaker, for instance—as a means to generate information that a physician can use to evaluate and care for the patient without having the patient come in for a physical face-to-face meeting,” says Madeleine Smith, senior vice president of payment and policy at AdvaMed, the Advanced Medical Technology Association. A recent AdvaMed report chronicled how these technologies can play a vital role in managing costly and debilitating chronic diseases. The findings were based on a review of various published studies. The report involves patients with chronic illnesses such as diabetes and heart and lung problems. One finding showed that when patients with severe respiratory illness requiring long-term oxygen therapy were remotely monitored, hospital admissions decreased by 50%, acute clinical problems decreased 55%, and hospitalization costs fell 17%. Also, a study of 400 diabetes patients found that those monitored by in-home glucose meters and video conferencing showed significantly greater improvement in reducing average blood sugar levels than those who did not receive such monitoring. The Center for Connected Health is implementing several connected health programs for chronic disease patients at Partners HealthCare-affiliated hospitals in Boston, according to Kvedar. For example, one of the center’s initiatives is the Connected Cardiac Care program, which is being offered to heart failure patients at risk for frequent hospitalizations. Data from a pilot study found that Connected Cardiac Care can reduce rehospitalizations by improving patients’ understanding of their condition and providing ongoing nursing support and a review of vital signs, such as heart rate and blood pressure, while the patient is at home. “This program allows patients to self-monitor and transmit their vital signs and symptoms to a telemonitoring nurse who helps patients understand the link between lifestyle choices and their disease, and, importantly, coordinates care with their physician,” says Kvedar. Patients have reported high satisfaction levels for the program. In patient survey data analyzed by Mercer, the researchers found that most employment-age TelaDoc patients (80%) selected the highest rating for the service overall. This is somewhat lower than the proportions of patients selecting the highest ratings in academic studies of satisfaction with telephysician services (90% to 98%) but higher than the proportion of patients who selected the highest satisfaction ratings for face-to-face primary care (70% to 78%). Malpractice liability and other legal concerns, as well as security and privacy issues, have also come into play as potential obstacles to the growth of telemedicine. Plus, there are issues surrounding requirements in some states that physicians must secure a license to practice telemedicine with a state resident.